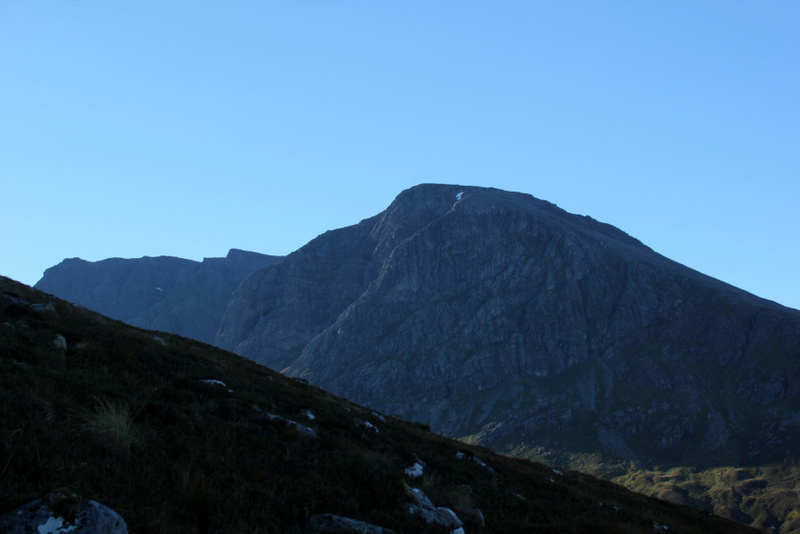 I set off from home early yesterday morning with a view to ascending Bidean nam Bian in Glen Coe. 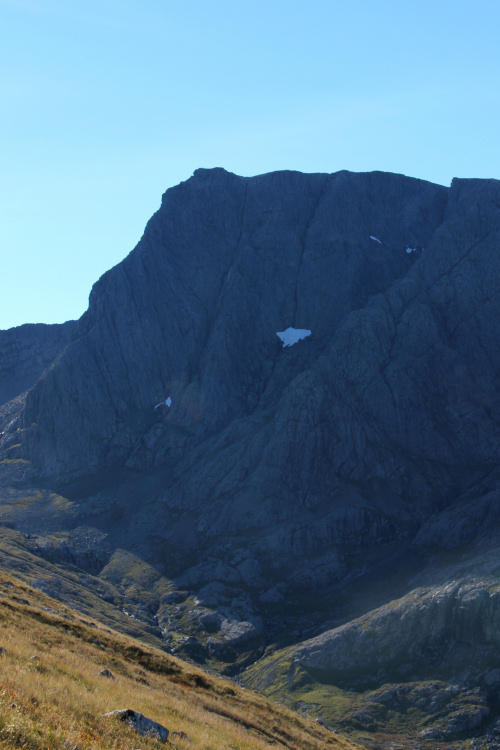 However, on driving past Ben Nevis it looked so amazingly good that I abandoned all plans for Bidean in favour of an ascent of 'The Ben'. 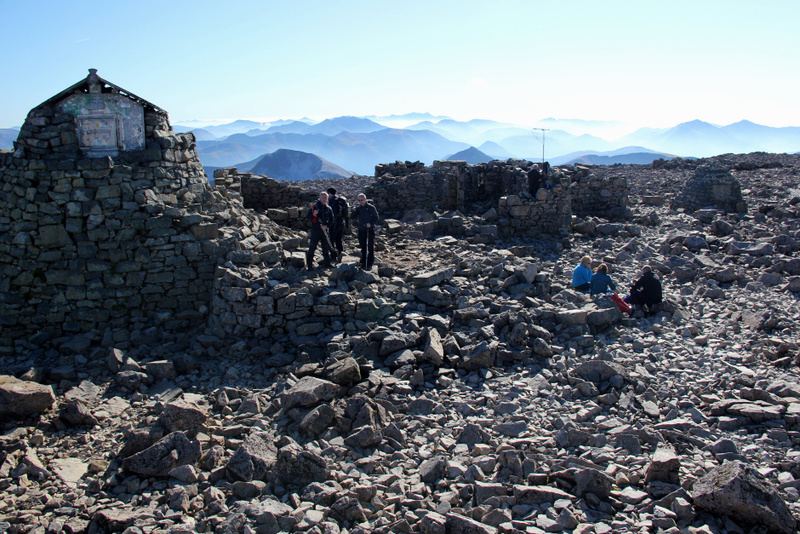 Having ascended the Ben four times previously, and not as yet had a view from the summit, perhaps this would be fifth time lucky. 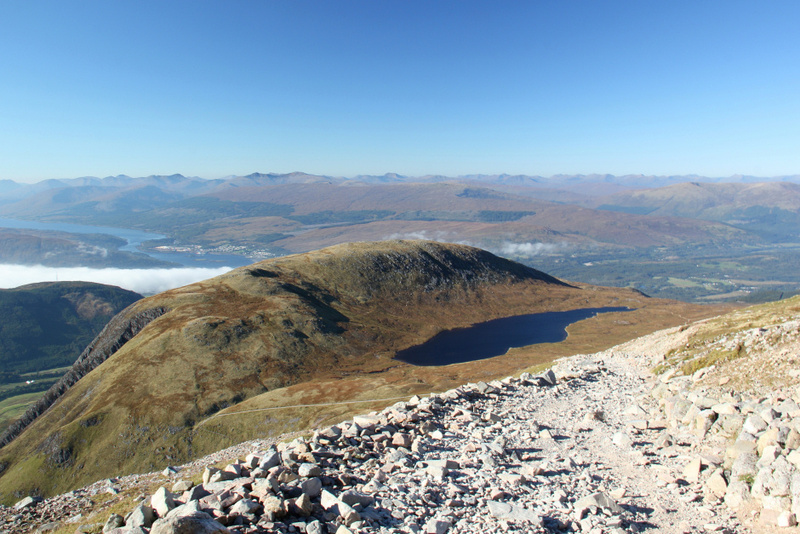 I first ascended Ben Nevis in 1991, up and down the tourist path. Again in 1997, I went up and down the tourist path. 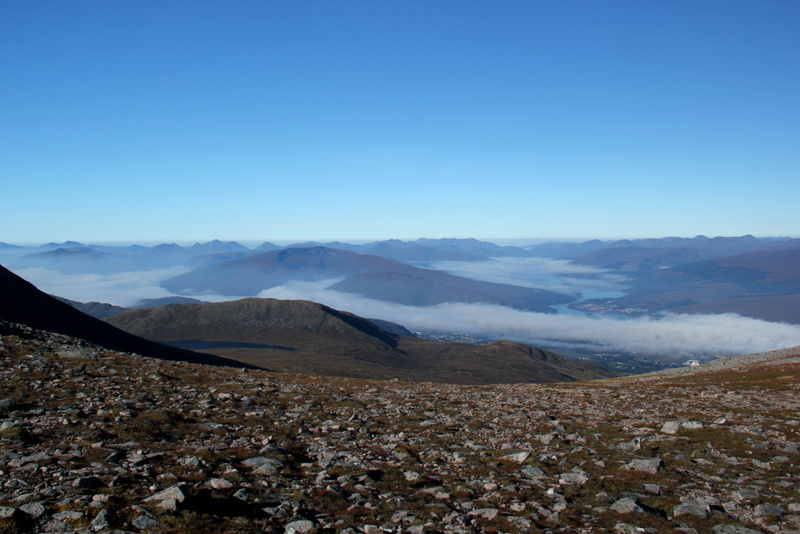 However, in 2002 and 2010 I ascended the Ben via Carn Mor Dearg and the arete. 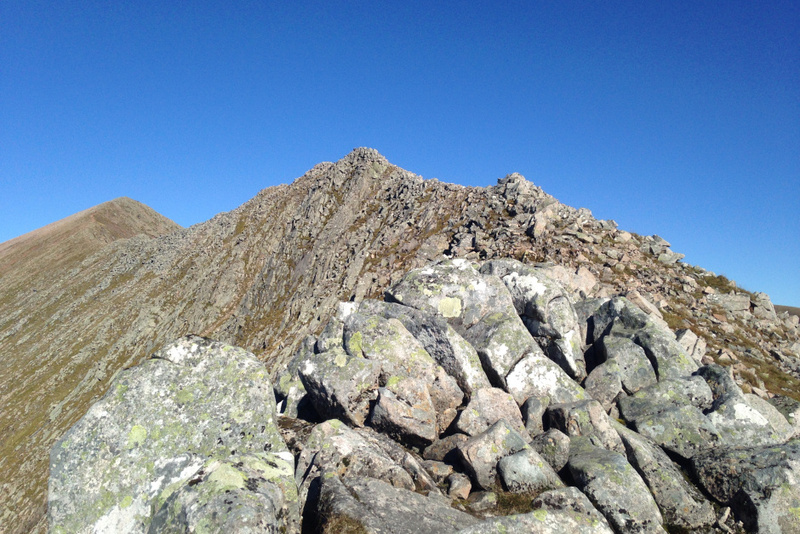 There is simply no comparison between the CMD arete approach and the tourist path. 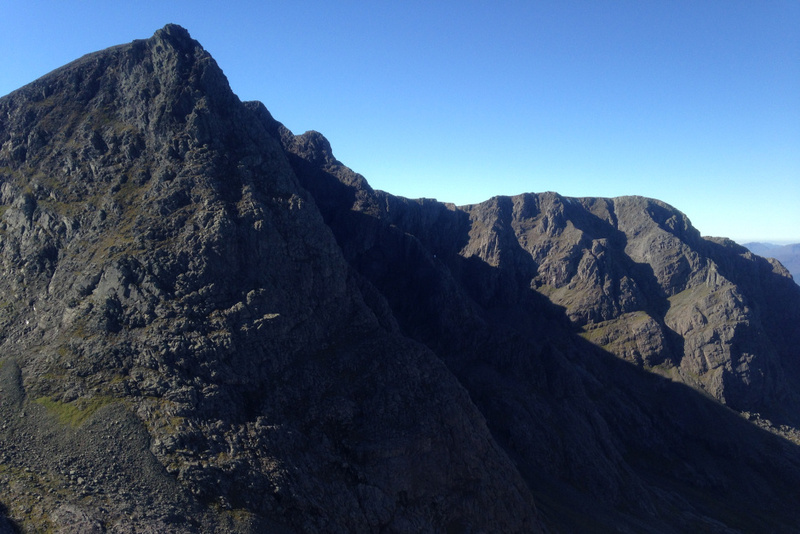 The approach via the arete is infinitely better. I therefore parked in the North Face car park at Torlundy for a third ascent via Carn Mor Dearg and the arete. While getting suited and booted in the car park, I got chatting with a man who was just back from soloing Tower Ridge and bivying out. 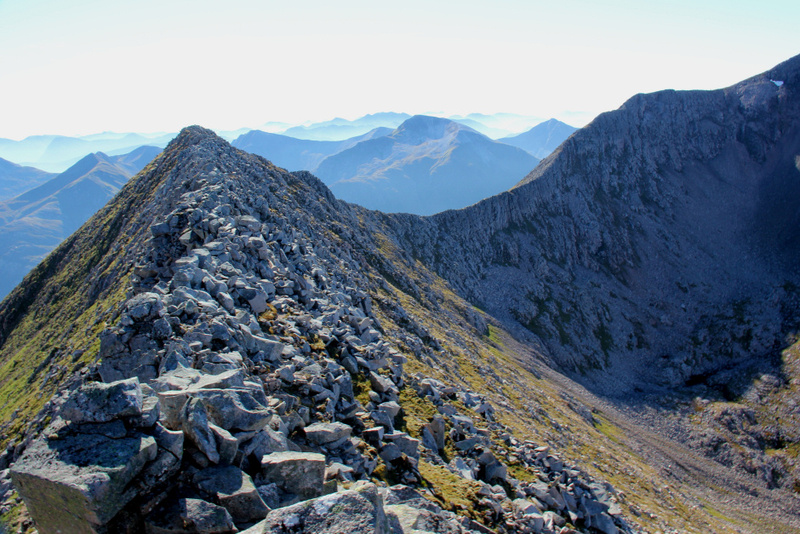 I would love to ascend Tower Ridge some day but no way would I ascend it unroped on my own. Respect! I didn't bother taking any photos during the initial ascent through the forest. The track here is significantly better than it used to be. 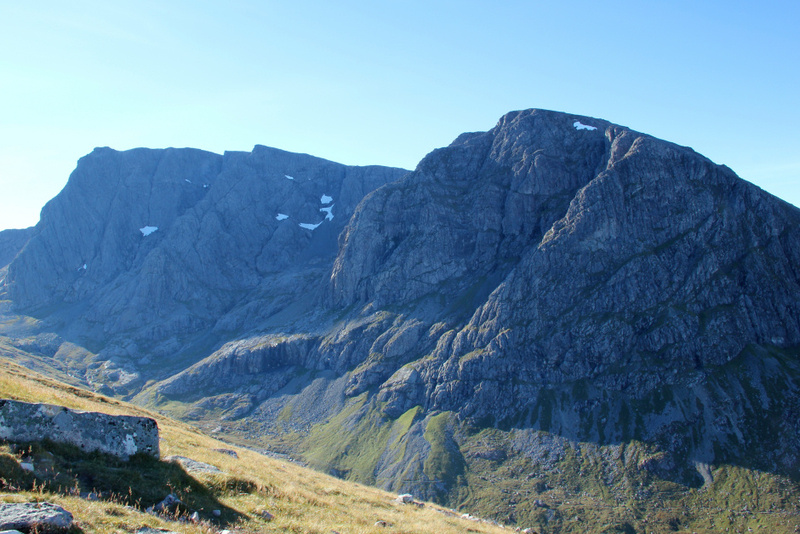 I recall stumbling my way up a much poorer track many years ago whilst carrying a crate of beer up to the CIC hut. 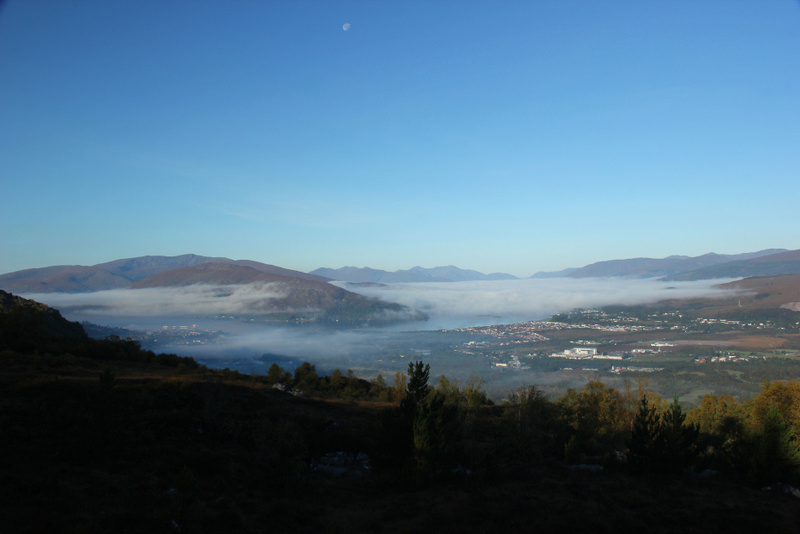 Once out of the forest, I took the first of numerous photos looking back towards Loch Eil and Corpach. 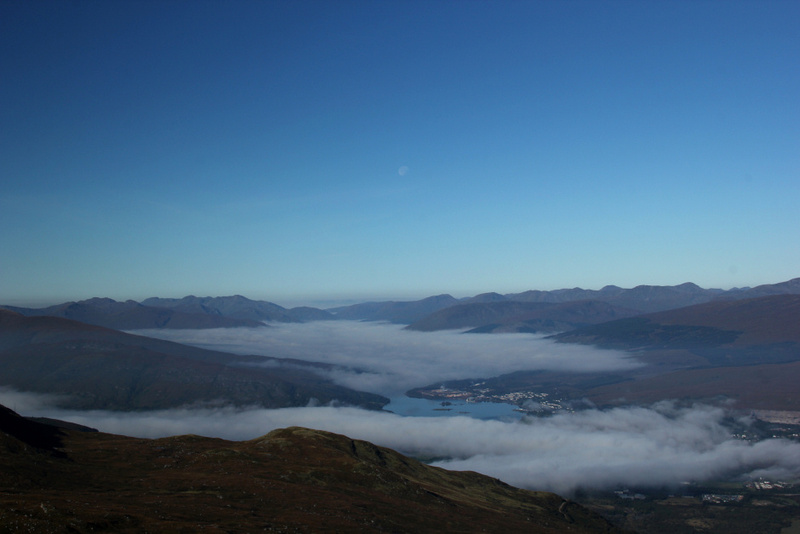 It is always a pleasure to see cloud inversion below. I found it quite difficult taking photos during this walk without getting lots of lens flare. For much of the walk I was walking directly into the sun. 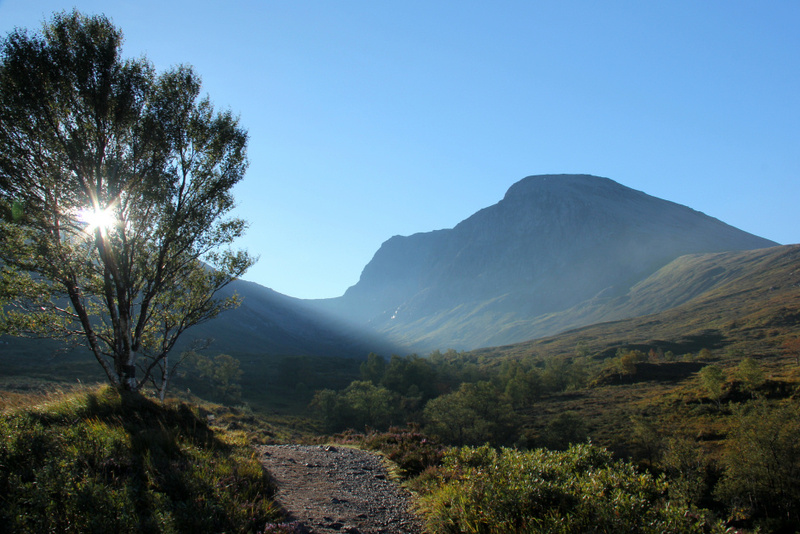 The Allt a' Mhuillin track heading up towards the CIC hut is excellent. 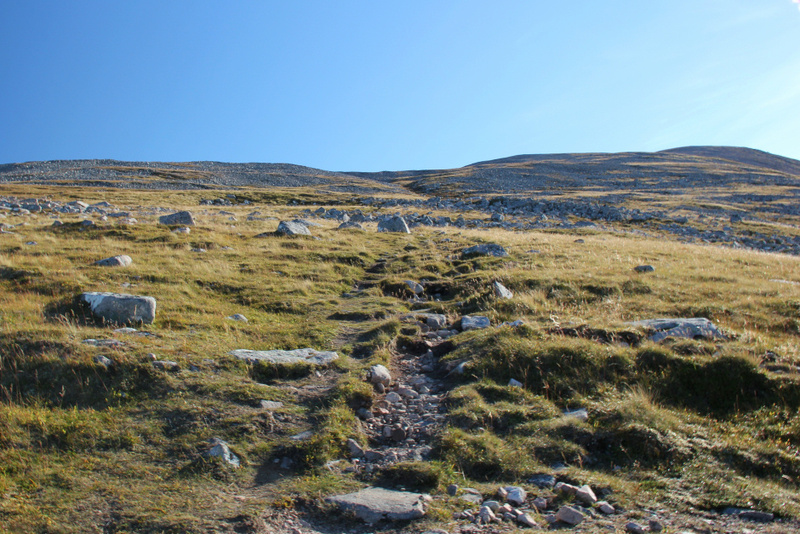 The track ascending Carn Mor Dearg is not. I had thought about wearing trail shoes for this walk but was glad I opted for boots given the mudfest ascent of the lower slopes of Carn Mor Dearg. 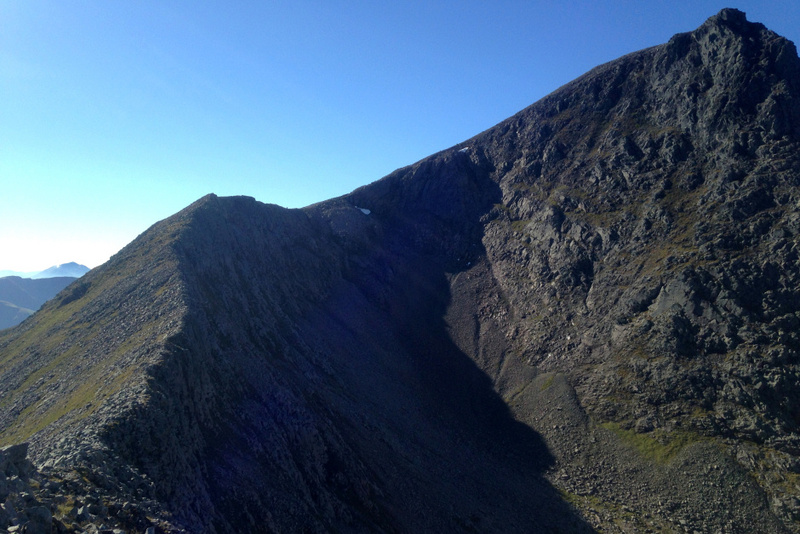 I spent a fair bit of time during the ascent looking across to the North Face ridges trying to spot any scramblers/climbers. I couldn't see any. 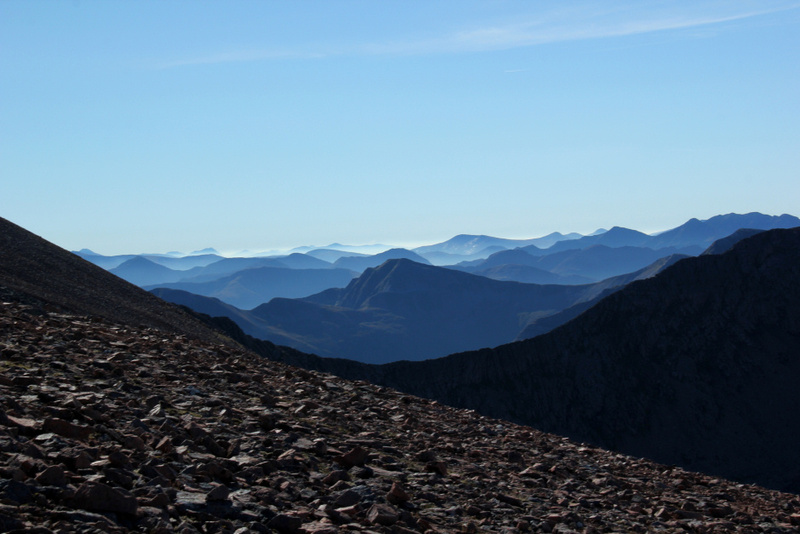 During the entire walk, I could only see three other parties ascending via Carn Mor Dearg and on reaching the summit of the Ben, there were less than a dozen people up there. I expected these hills to be much busier given the outstanding weather. I was not however complaining having these hills mostly to myself for the day . 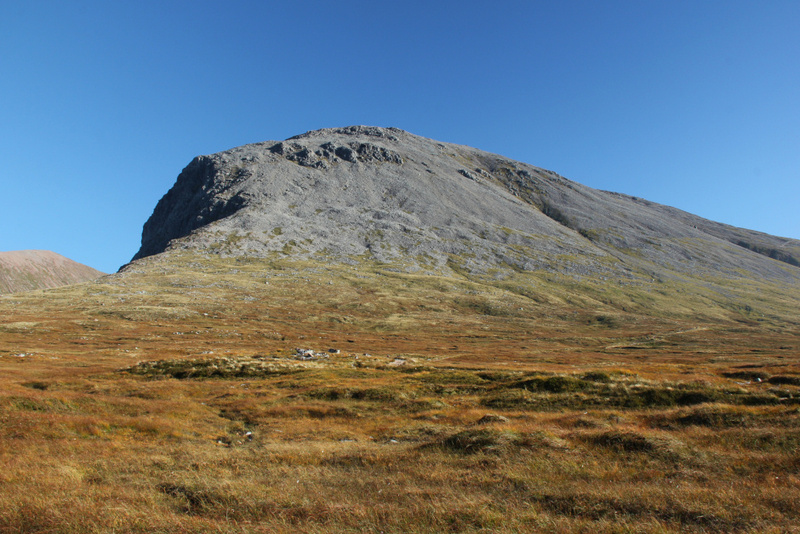 On passing a burn on Carn Beag Dearg, I made the mistake of not drinking all my water and refilling as there are no further water sources until about half-way down the Ben. 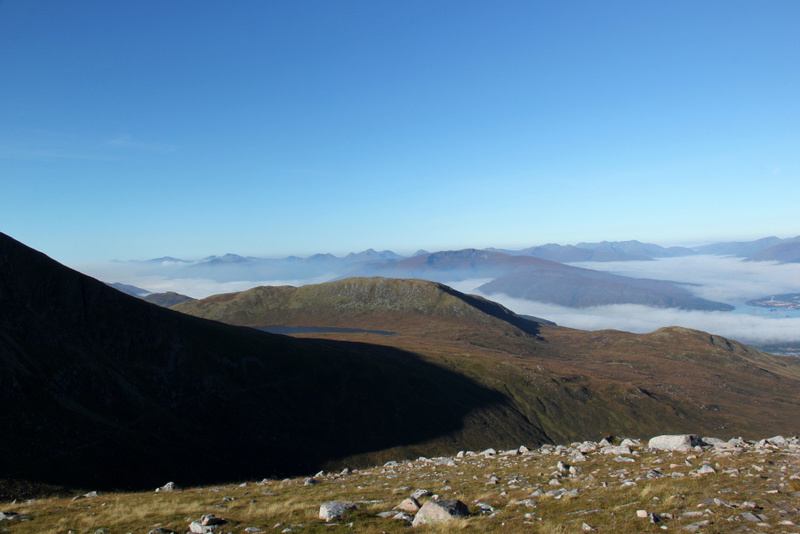 As I approached Carn Dearg Mheadhonach, a Munro top of Carn Mor Dearg, I also began to get outstanding views to the East. 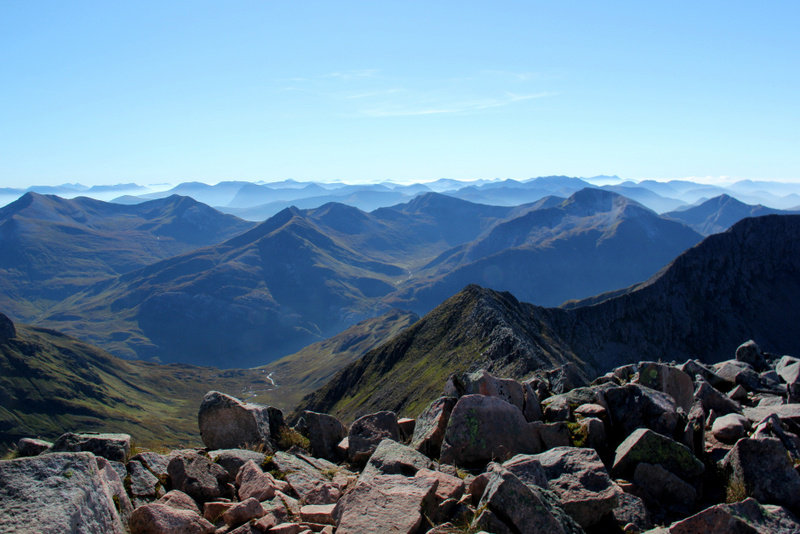 I stopped briefly at the summit of Carn Dearg Mheadhonach for a drink and to admire the views across to the Aonachs. The North Face was now looking awesome. I was having a great day but an ascent via Tower Ridge would have been even better! 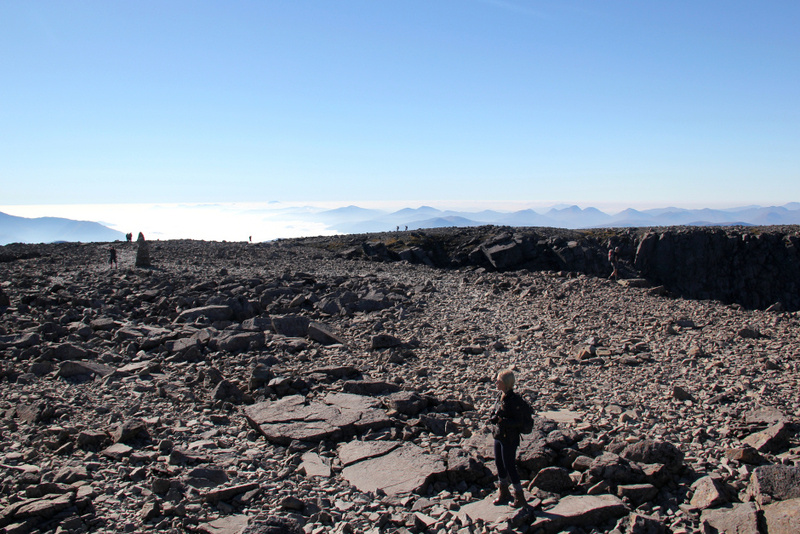 I again stopped for a break at the summit of Carn Mor Dearg; I was in no hurry and wanted to savour the views. 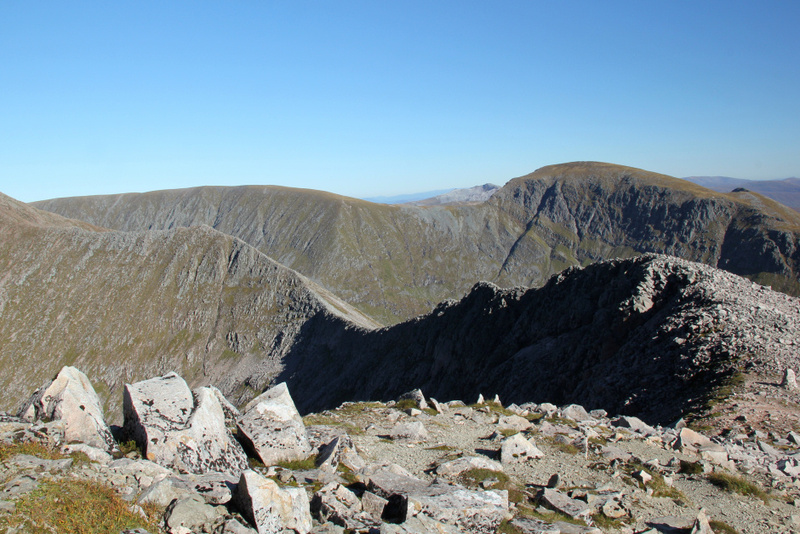 This was my fourth ascent of Carn Mor Dearg; my third ascent with the Ben and one previous ascent with the Aonachs. 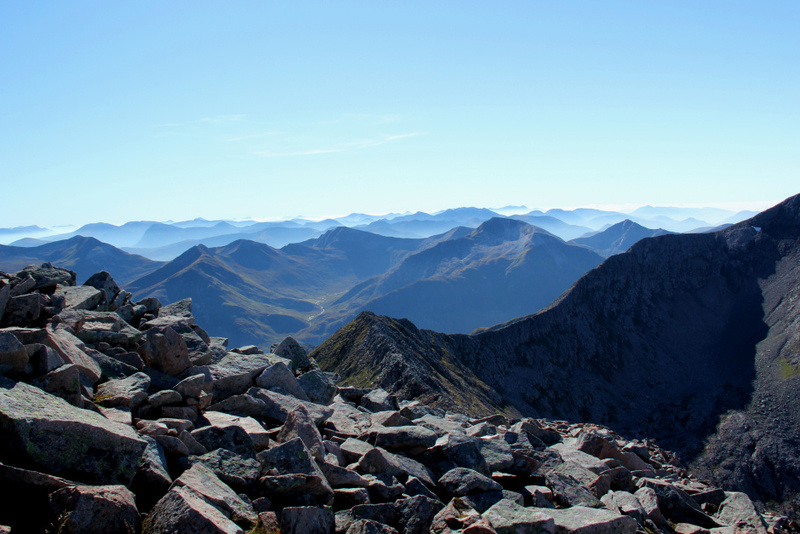 While sitting at the summit, I thought of a couple of friends who recently did the Tranter Round taking in all the Mamores, the Grey Corries, the Aonachs, Carn Mor Dearg and the Ben in a day. 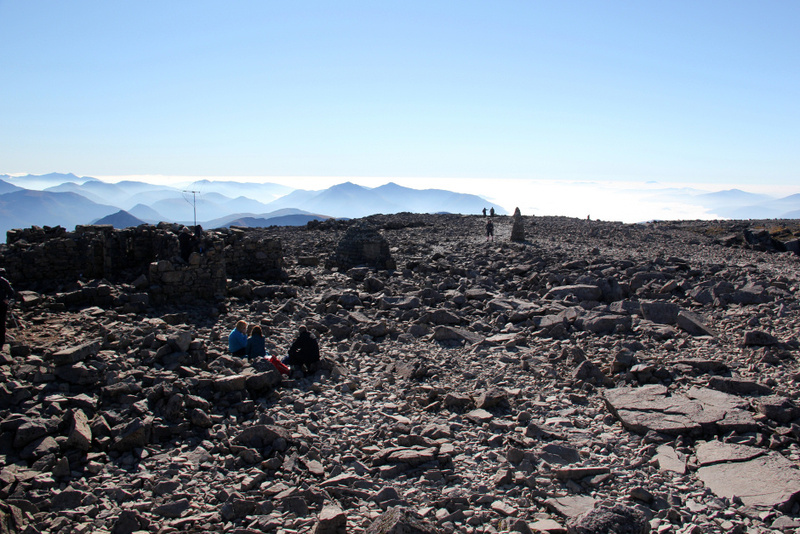 >6000m of ascent; complete madness! 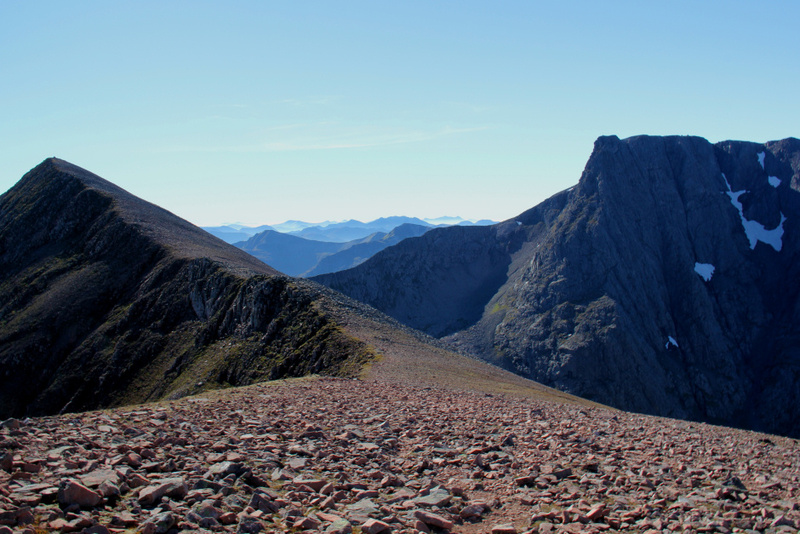 From Carn Mor Dearg, I made my way down to the start of the arete. I put away my poles and put my bulky DSLR into the rucksack instead using my iPhone to take photos whilst on the arete. 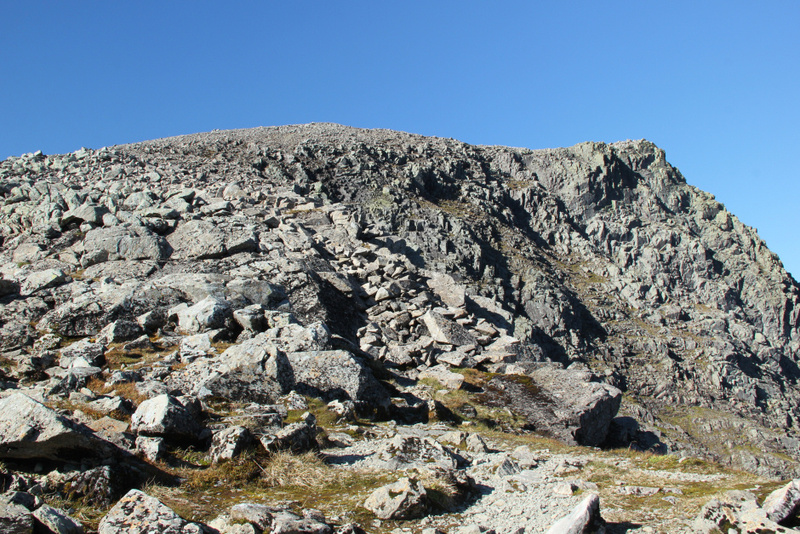 The scrambling on the arete is very straight-forward. 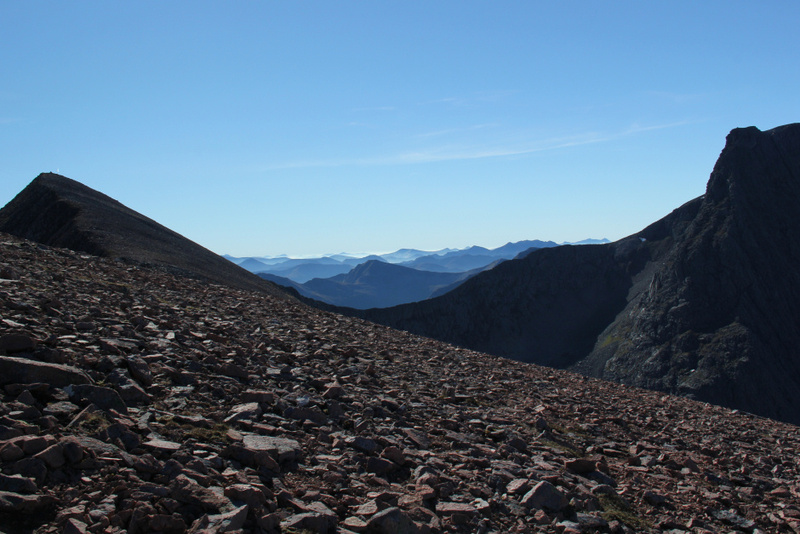 Sections of scrambling can be avoided by following by-pass paths a few feet below the ridge. There is however a sizeable drop in places so care is required as there is definite death-fall potential. 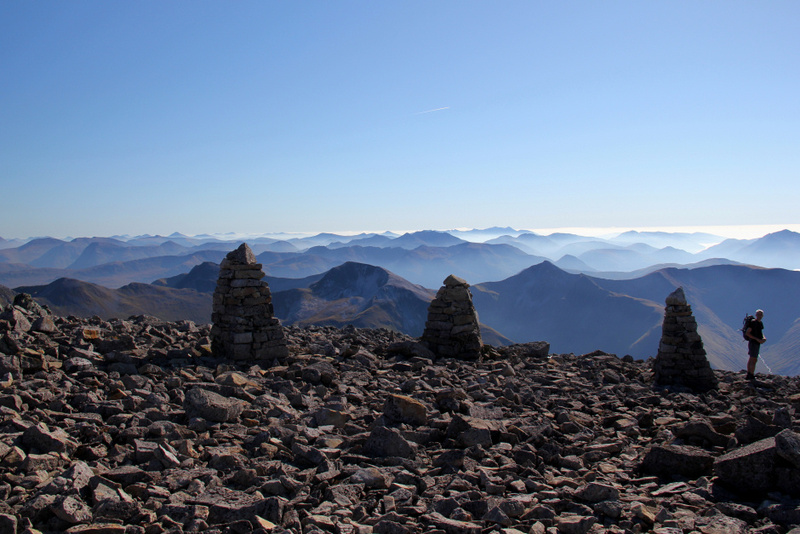 On reaching the end of the arete, I got my poles and DSLR back out after having a wee rest at the cairn. 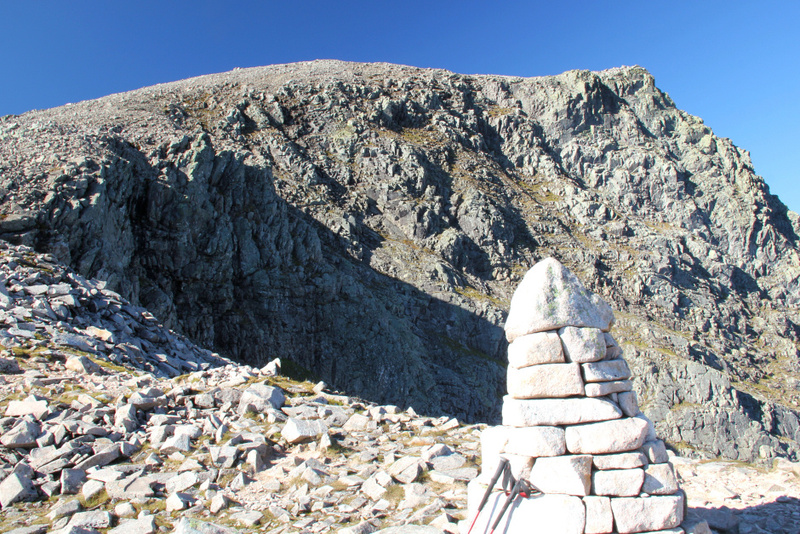 The final ascent up the Ben is via lots of boulders. I have yet to find a path, probably because there isn't one. 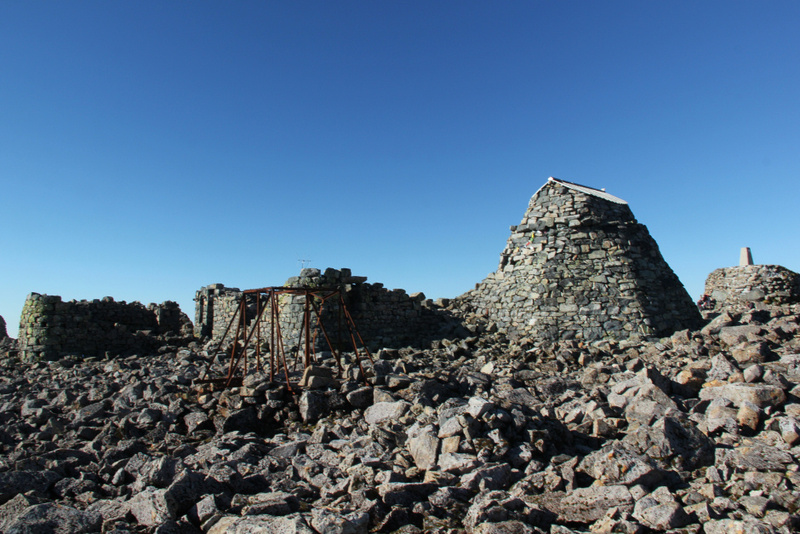 On reaching the summit plateau, it was great to see the old observatory, previously seen only in mist. 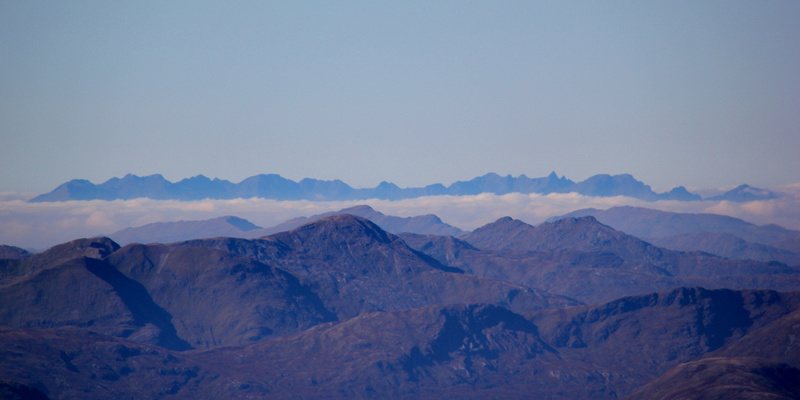 The view out to the Cuillin on Skye was superb. 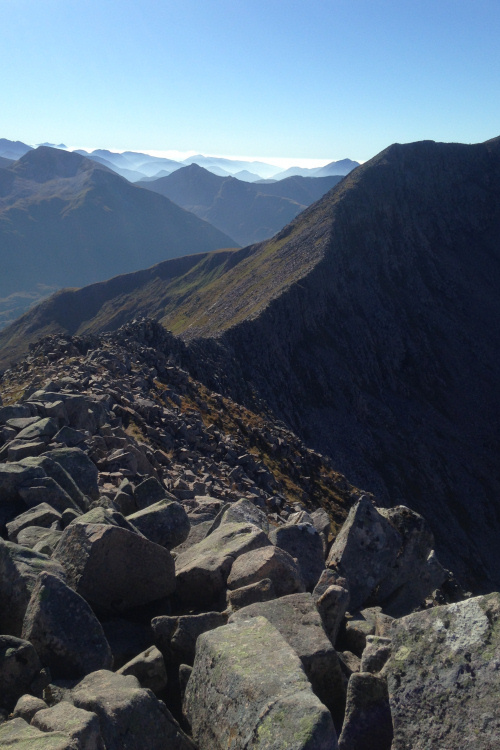 While I was loving my ascent of the Ben, I was a touch envious of anyone on the Cuillin ridge. 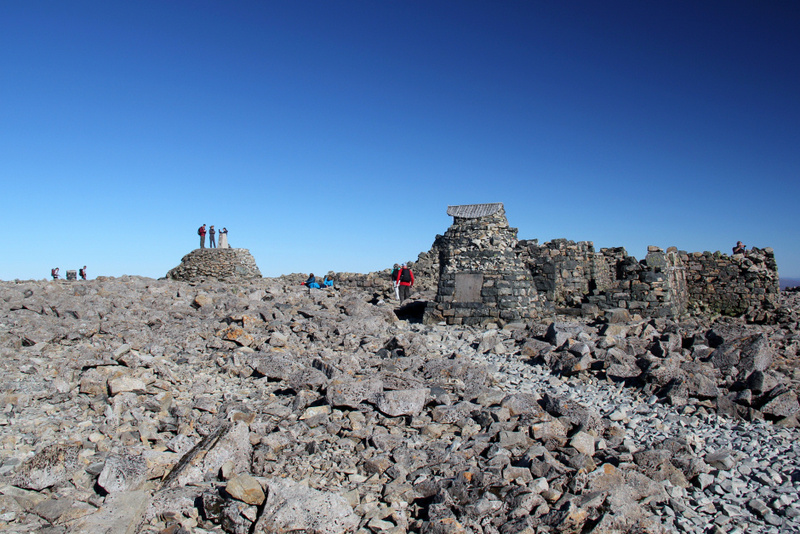 After taking a number of photos from the summit trig point, I began my descent via the tourist path. 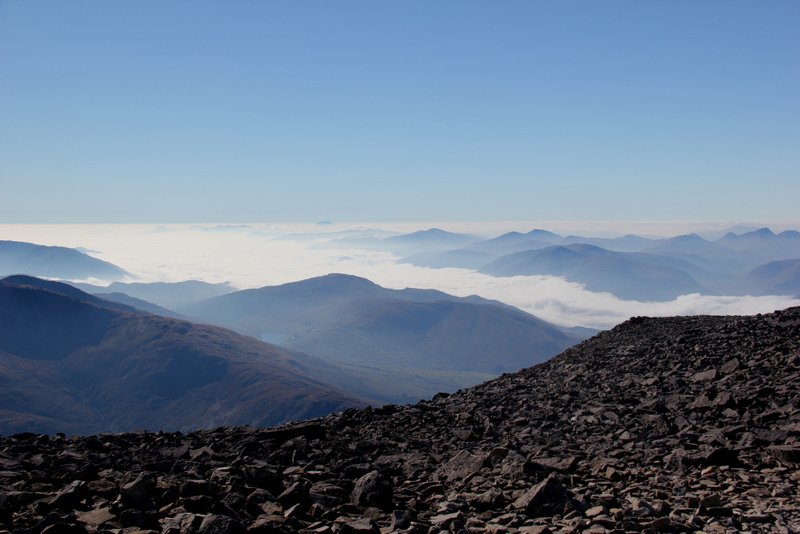 During the descent, I stopped numerous times to take photos of the wonderful cloud inversion below. 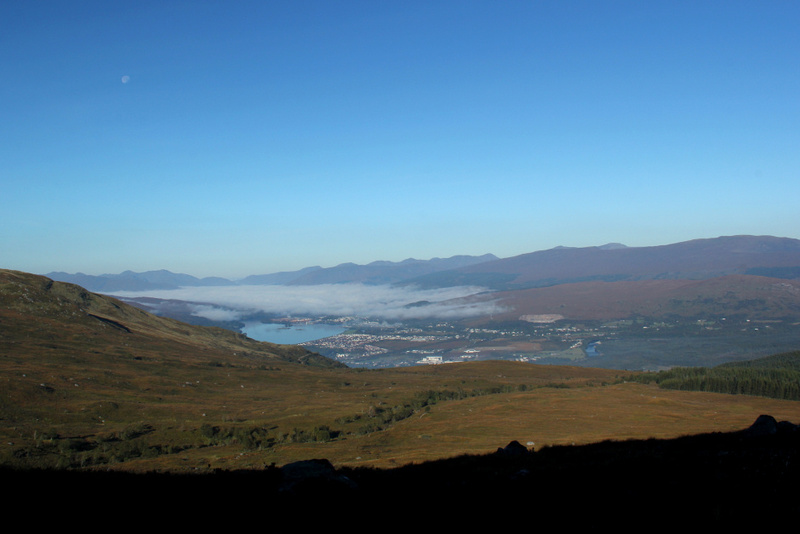 It was now mid-afternoon and the inversion below hadn't lifted. The tourist path was the worst part of the day. 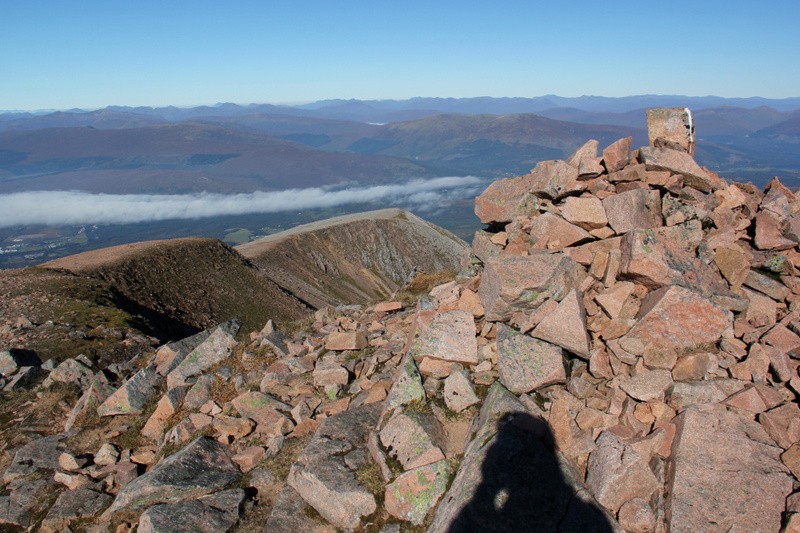 It is a necessary evil given the hordes that normally ascend the Ben. 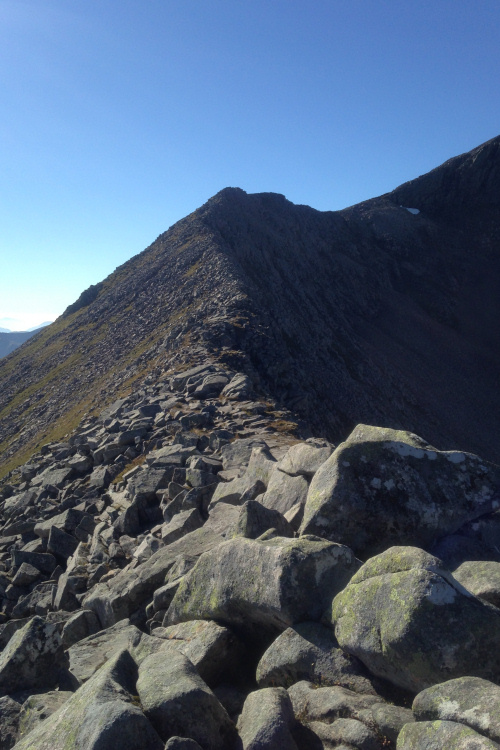 It had been my intention to also ascend the two Carn Dearg's (Munro Tops) however I was feeling the heat and was out of water, so decided to leave them for a future ascent. 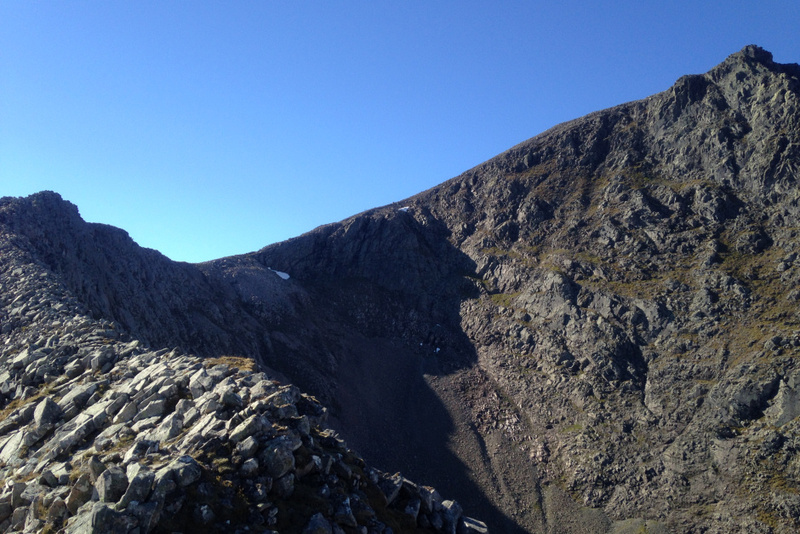 On reaching Lochan Meall an t-Suidhe, I followed a faint path running alongside the Allt Coire an Lochain which took my back to the Allt a' Mhuillin track. 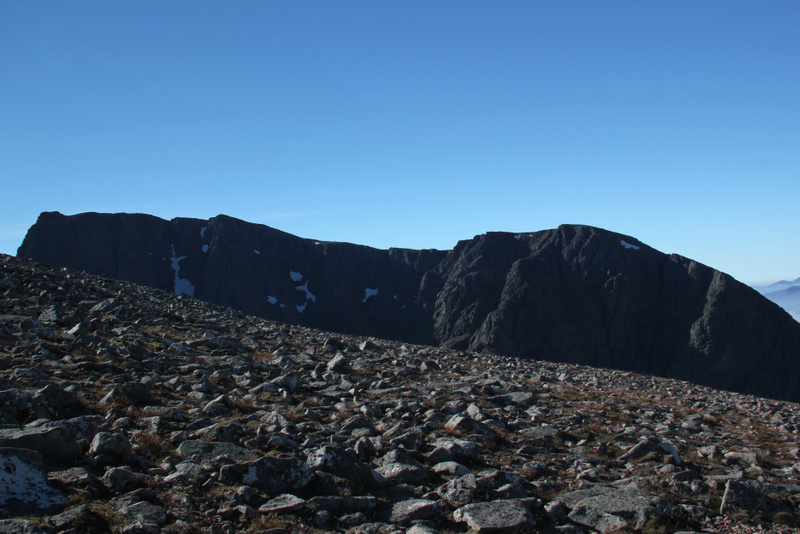 On reaching the Allt a' Mhuillin track, I followed it back down to the North Face car park. 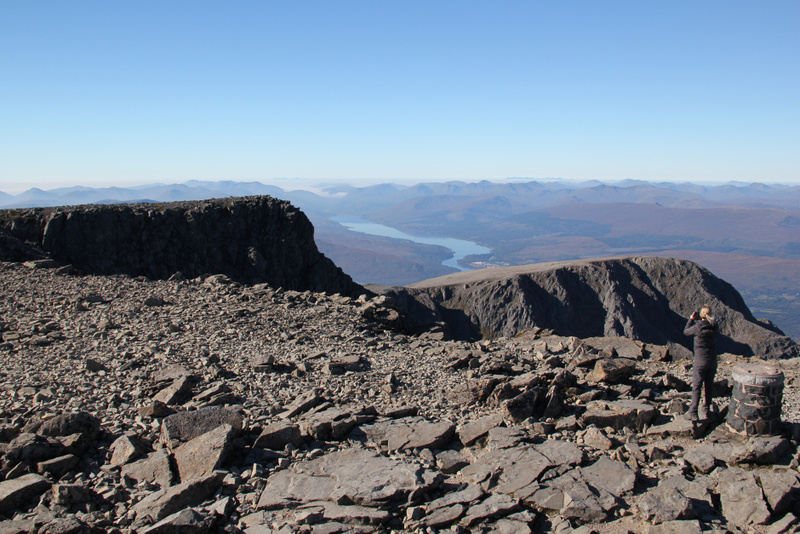 A stunning day out, seeing the Ben at its best .